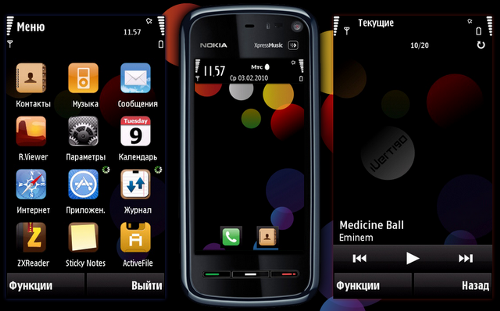 iVertigo Theme free download for Symbian s60 3rd and 5th edition. iVertigo is a nice theme for Symbian s60 5th edition mobile phones, made by DSMA. The skin has a black background with colorful circles on it. It is beautiful, stylish and simple. The icons recall iPhone icons - glossy and round edged. hello there and thank you for your information – I’ve cetnrialy picked up something new from right here. I did however expertise some technical points using this website, as I experienced to reload the site a lot of times previous to I could get it to load properly. I had been wondering if your web host is OK? Not that I am complaining, but sluggish loading instances times will sometimes affect your placement in google and can damage your high quality score if ads and marketing with Adwords. Anyway I am adding this RSS to my email and can look out for a lot more of your respective intriguing content. Make sure you update this again very soon..